A$AP Ferg, Mike Bruno, Angela Yee, and Charles Attal (Music Industry) – Hip hop artist A$AP Ferg, Billboard editorial director Mike Bruno Mike Bruno, The Breakfast Club host Angela Yee, and C3 partner Charles Attal will discuss how technology’s rapid evolution has changed the entire music landscape: from how an artist produces and creates music, to how it’s distributed (streaming platforms) and monetized, to ultimately how a fan consumes and experiences it. Sophie Turner and Maisie Williams (Entertainment Influencers) – Sophie Turner is an English actress best known for her role as ‘Sansa Stark’ on HBO’s Game of Thrones. Maisie Williams is an English actress who made her professional acting debut as ‘Arya Stark’ in Game of Thrones. Turner and Williams will appear in conversation with David Benioff and D.B. Weiss for the Game of Thrones Showrunners session. 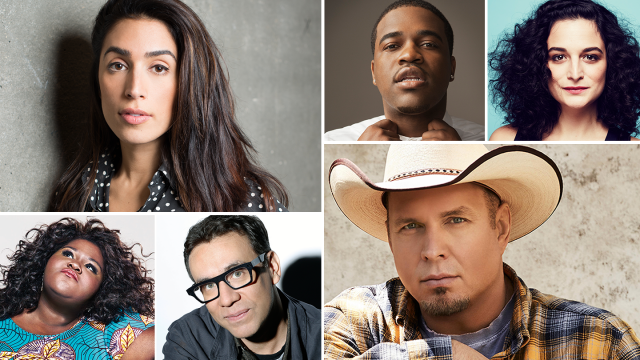 2017 SXSW Conference Featured Session Speakers (l-r) Yasmin Green – Photo by Esther Nisanova; A$AP Ferg – Photo courtesy of the speaker; Jenny Slate – Photo by Christopher Patey; Gabourey Sidibe – Photo by Houghton Mifflin Harcourt; Fred Armisen – Photo courtesy of the speaker; and Garth Brooks – Photo by Jeremy Cowart, copyright 2016 Blue Rose, Inc.